Greg passed away unexpectedly on July 30, 2018 in Napa, California. Born in 1974 in Fresno, Greg moved with his family in 1977 to South Lake Tahoe. 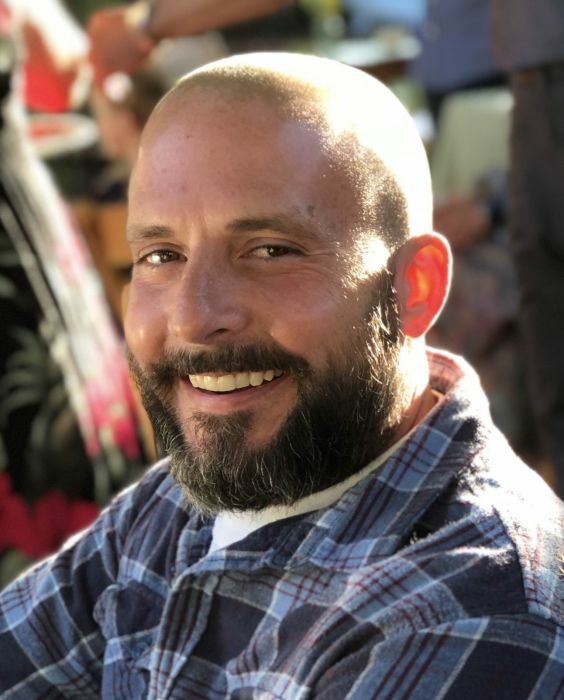 Greg graduated from South Tahoe High School in 1992 and worked for many years in the construction industry in South Lake Tahoe and the greater Bay Area, as a carpenter and craftsman. Greg loved skiing, golf, RC cars, and placing a sports bet; he also had a passion for Vans, hoodies and baseball hats. Greg was dearly loved by his parents Max and Carmen, sister and brother-in-law Kim and Tom Blackwood, niece Marissa and nephew Kyle, and many extended relatives and loyal and caring friends. He was a great person, athlete, uncle, brother, son, and friend to so many. He will be deeply missed by all that knew him. He truly was a kid at heart! All those touched by Greg are invited to come together at 2443 West Park Avenue, Napa; the home of Kim and Tom, starting at 1pm on Saturday, September 8th, to raise a glass while we reminisce, laugh and cry. In lieu of flowers, donations to the Jamieson Animal Rescue or a charity of your choice is appreciated.